for the Horse Lovers in Your Life? and horses like 'em too! Most likely you had something different in mind. of great ideas right here. You - Did - GOOD! a round pen of your own design (or ours) for your horse lover. what we did, maybe you can come up with a better idea. - always a nice choice. tack and more saddles than you can shake a stick at. paintings, prints, photographs and posters. a great selection of horse books and and equine magazines. ideas for Equestrian Home Decor - for example a Horse Statue. ideas you can use to create a "made it myself" Gift Basket. When I grow up I'm gonna be a horse! 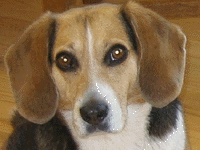 Subscribe to Nose to the Ground"
our Newsletter, by Beagles - for Horse Lovers. can be helpful, at times essential. and get the best fit. Correct fit is also obviously important for Hats and Boots. You'll find reviews of some excellent Horse Books. focus on a specific breed or discipline. a great idea for a special gift for your horse lover! something you want to do plenty of before taking the plunge! No hard sell here, no obligation required of you. towards having a successful business of your own. P.S. If you have an idea we haven't touched on; please Share it with Us.